Women’s Magazine interviews Rebecca Merton of Freedom for Immigrants and Almadelia, whose husband Jasiel was the first person bailed out by the West County Detention Community Fund. Bay Area residents are raising money to bail out immigrants housed in the Richmond jail before they are moved to prisons further away; the West County Detention Center is ending its contract with ICE because of community protest. Nina Serrano discusses her novel, Nicaragua Way: An International Novel of Love and Revolution in the 1980s, which tells the fascinating story of the Bay Area’s involvement in the Sandinista revolution. Nina also gives her take on the current crisis in NIcaragua. 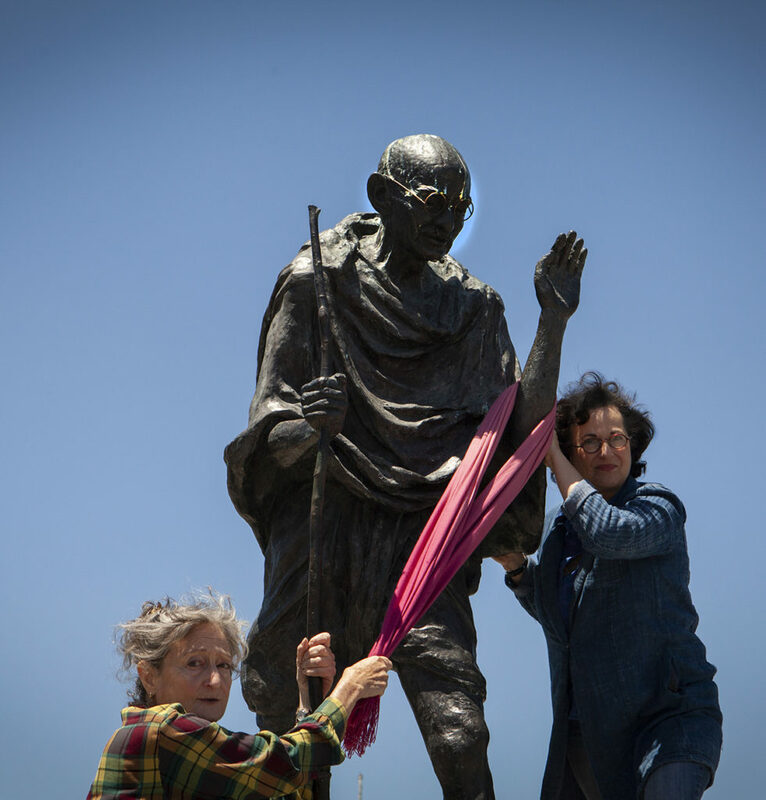 And playwright Anne Galjour explains how the writings of feminist theologian and philosopher Mary Daly inspired the radical feminist comedy, #GetGandhi, now playing at Z Below. We’ll have some tickets to give away!